The Intergovernmental Panel on Climate Change’s latest report on the prospects for staying under 1.5 degrees of warming is a call to action and a warning. The world is not on track to limit dangerous temperature rise and its follow-on consequences like sea level rise, extreme weather and major damage to ecosystems. What’s more, cities are on the frontlines of many of these effects. The IPCC notes that there are 136 port megacities globally that are vulnerable to sea level rise and flooding, and 70 percent of the world’s coastlines will experience sea level rise greater than 8 inches if warming reaches 2 degrees by 2040. The number of very hot days in urban areas will also skyrocket with conditions like those experienced by Karachi and Kolkata during deadly heatwaves in 2015 becoming regular. Among all the investments cities can make to adapt to this changing world, the IPCC finds that green infrastructure and sustainable water management are among the most effective. This includes investments in parks, green roofs, permeable ground cover, street trees and water reuse facilities. Moreover, they can have valuable side effects such as helping to make cities more equitable and livable, regardless of the weather. These twin objectives – making cities more equitable and more resilient to climate change – are the focus of a new effort by WRI Mexico. To support the development of green infrastructure and water management solutions in the country’s fast-growing cities, WRI Mexico is launching TheCityFix Labs Mexico, a new component of the Financing Sustainable Cities Initiative, a partnership between WRI Ross Center and C40 Cities Climate Leadership Group, supported by the Citi Foundation. Following the launch of the first Lab in India, TheCityFix Labs Mexico will similarly usher a select cohort of early-stage urban projects through the development of stronger business models and more tailored proposals to suit the needs of municipal governments, bringing more innovative sustainable urban development ideas to scale. The urban policy plan of Mexico’s next national government, sketched out in a document called AMLOPOLIS, as well as a proposed environmental plan, put green infrastructure at the forefront of the country’s priorities. Within these plans, the incoming Obrador government is reinforcing a commitment to comprehensive water management, solid waste programs and efficient finance in order to achieve sustainability and metropolitan governance goals. Cities are key to the country’s success. With 401 cities accounting for more than 70 percent of the population, Mexico is extremely urbanized. The total urban population has doubled in the past 30 years while the urban footprint has multiplied by 10. Such rapid growth, however, has caused highly inefficient land use patterns with long and expensive commutes for residents and higher levels of inequality and pollution. 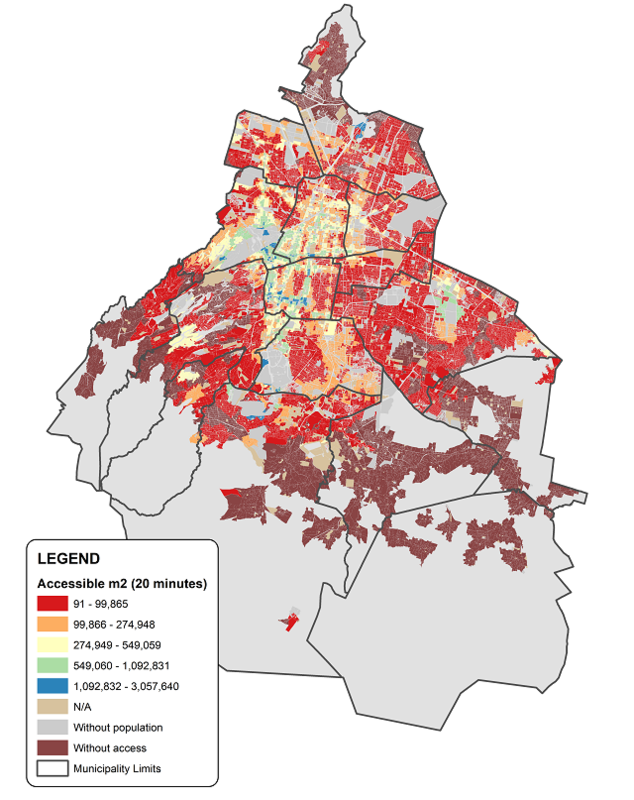 Research conducted by WRI Mexico found that residents living in Mexico City’s wealthiest neighborhoods have access to nine times more transit stations and six times more public space and green areas than their counterparts living in the lowest income districts of the city. The new government’s urban proposals offer an opportunity to overcome this inequality with investment that confronts the challenge head-on. Green infrastructure can bring valuable green spaces to areas that otherwise have little and help reduce pollution. Such investments could also help Mexico’s cities capture more rain water, mitigate flooding, reduce the urban heat island effect, and improve resilience to climate change in a myriad of ways. 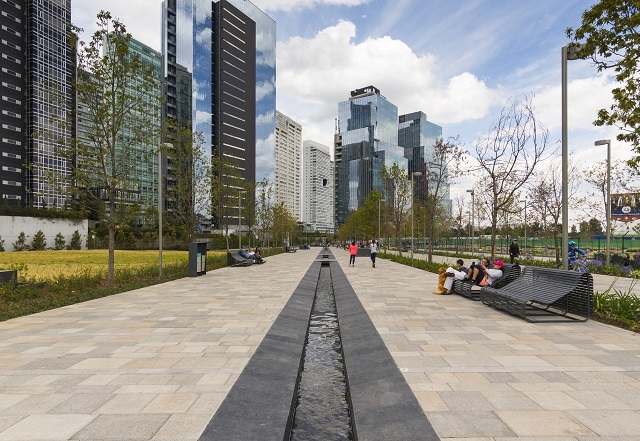 TheCityFix Labs Mexico will provide tailored content on potential business models to help create bankable green infrastructure projects in a range of cities. Participants will work with WRI experts to develop projects that blend public and private finance or identify other finance mechanisms that can bring their ideas to fruition. WRI Mexico will be receiving applications from local governments or non-public actors that demonstrate government support from November 6, 2018 to February 15, 2019. From this pool of applicants, we will work with a jury of experts to select a cohort of projects that demonstrate implementation potential along with the greatest social, economic and environmental benefits. The cohort of projects chosen for the Lab will work with WRI experts through a series of workshops to develop their business plans and tailor them to appeal to both investors and city decision-makers. Project teams will learn to use the FSCI’s business model framework approach, for example, breaking down complex investments into easier to understand technical components, legal arrangements, funding sources and financial mechanisms. Finally, the Lab will close with a public event where teams will present their projects to investors, federal officials and other key stakeholders for consideration. Through hands-on workshops and technical support, TheCityFix Lab will identify and overcome barriers to financing and implementing green infrastructure projects in Mexico, helping cities avoid lock-in and capture some of the estimated $26 trillion global opportunity in sustainable development. Leaning on the finance experience gained through the long-running FSCI partnership, we hope to put cities on track towards a more equal, more resilient future. For more information on TheCityFix Labs Mexico, visit www.thecityfixlabsmexico.org. Mariana Campos is Urban Development Manager in the Cities Program at WRI México.